Horse flies are large flies that don't bother anyone for most of the year. They feed on nectar and help pollinate plants. It is only when breeding season comes around that they turn into vampiric creatures in search of blood. Like mosquitoes, female horse flies need blood so they can lay their eggs. Horse flies often attack in groups and are more attracted to some situations than others. If you understand what causes the the attacks, you can take steps to reduce them. Horse flies have large heads and eyes and feed on blood during breeding season. Horse flies are 3/4- to 1-inch long with large heads and eyes and clear or dark wings. These insects use razor-like mouthparts to bite into mammals and then drink the blood oozing from the wound. Deer flies are similar but smaller. 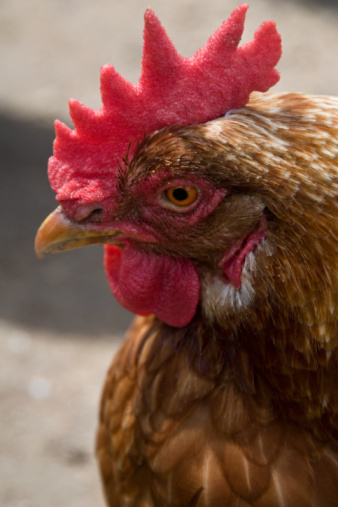 They can spread diseases like anthrax, tularemia, anaplasmosis, hog cholera, equine infectious anemia, filariasis and Lyme disease. However, they are not major causes of these diseases. 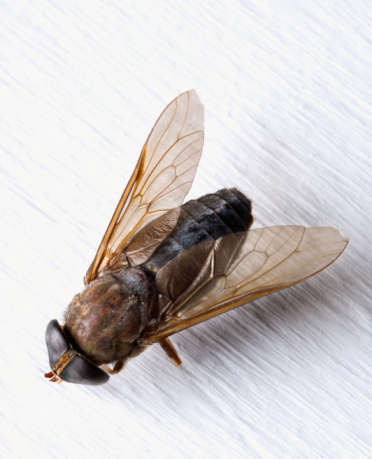 Horse fly attacks increase on warm, sunny days when there is little or no breeze. Sunny locations attract horse flies and they will not venture into barns or areas of deep shade. They are diurnal and do not feed at night. Horse fly attacks decrease when the temperature drops or when the wind picks up. They are most active in August during their breeding season, but may also be bothersome in June and July. Horse flies are common around swimming pools because the water has a shiny surfaces, motion, is dark, has carbon dioxide and is warm. Horse flies are visual, and are initially attracted by the shiny, moving surface of the water. When you add people, it increases the carbon dioxide levels in the hot, sunny location and adds large dark moving objects. Controlling horse flies is nearly impossible. Traditional repellents like DEET and permethrin won't repel horse flies but may keep them from biting. Wearing light-colored clothing and protective mesh can help reduce the chances of attracting horse flies. Grazing animals should be kept indoors during the day and allowed to graze at night when horse fly numbers are high. Why Are Flies Atrracted to My Pool?